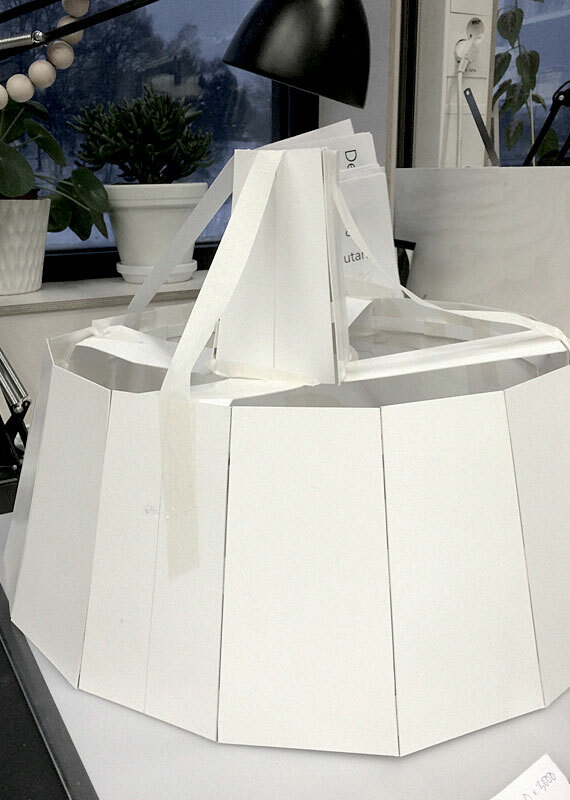 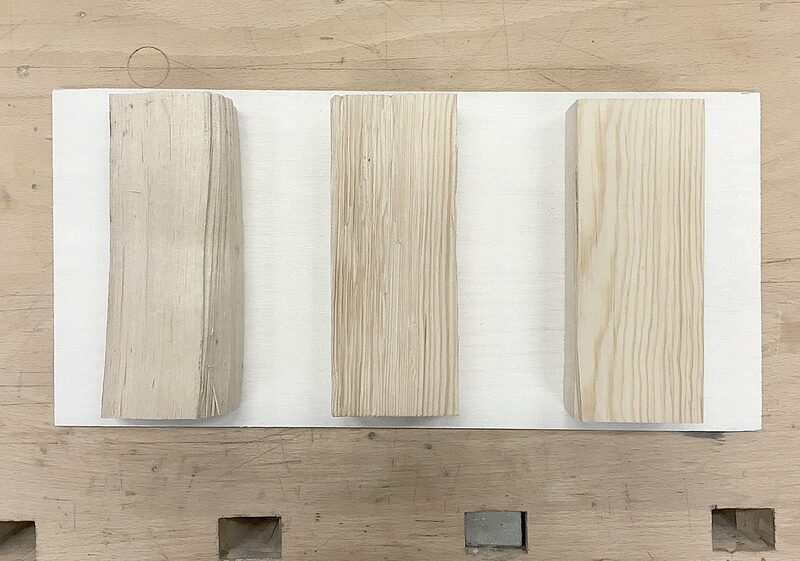 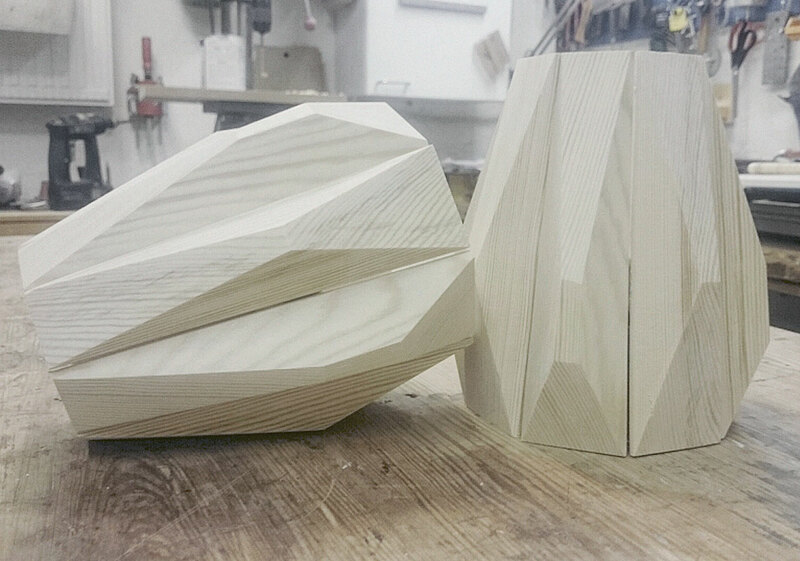 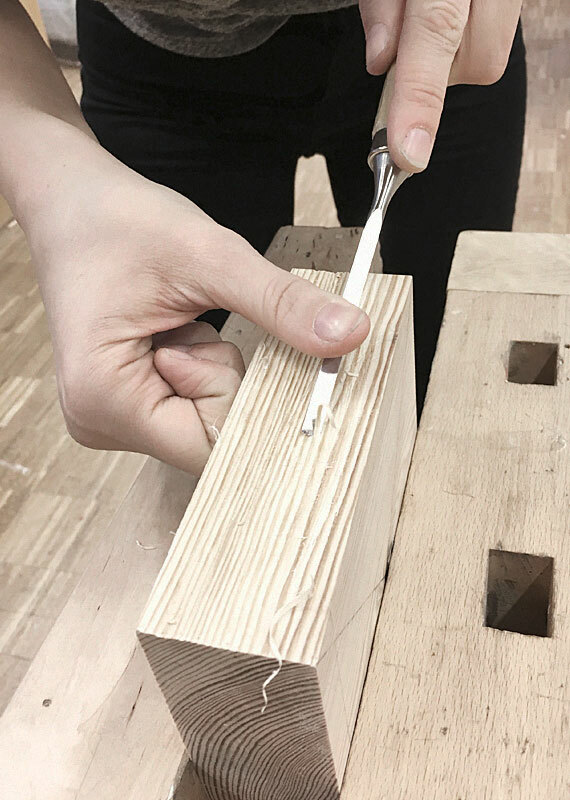 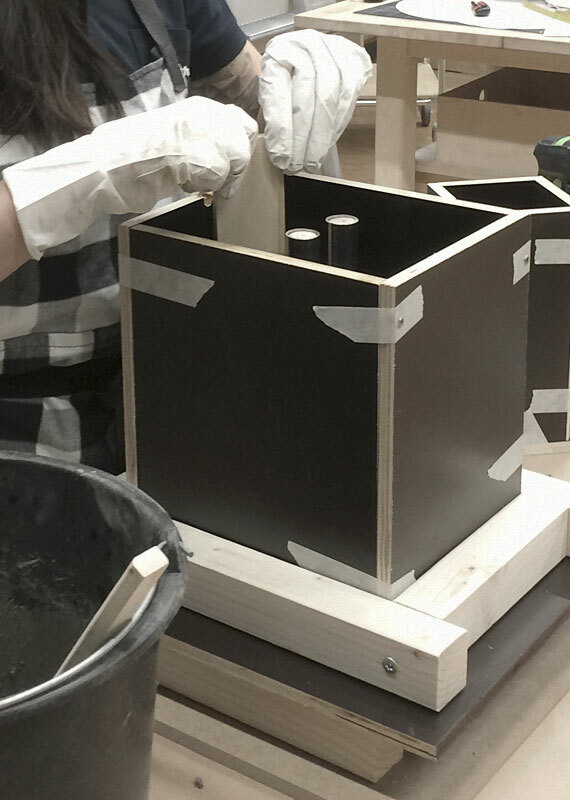 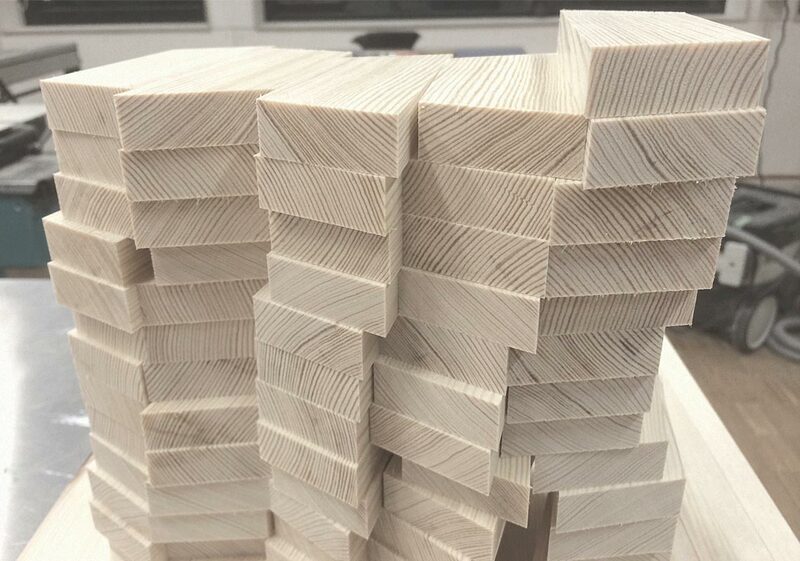 In cooperation with ateljé Lyktan, Bachelor students on the Carl Malmsten Furniture Studies course (Linköping University) have designed eight pine-based luminaries for their final project. 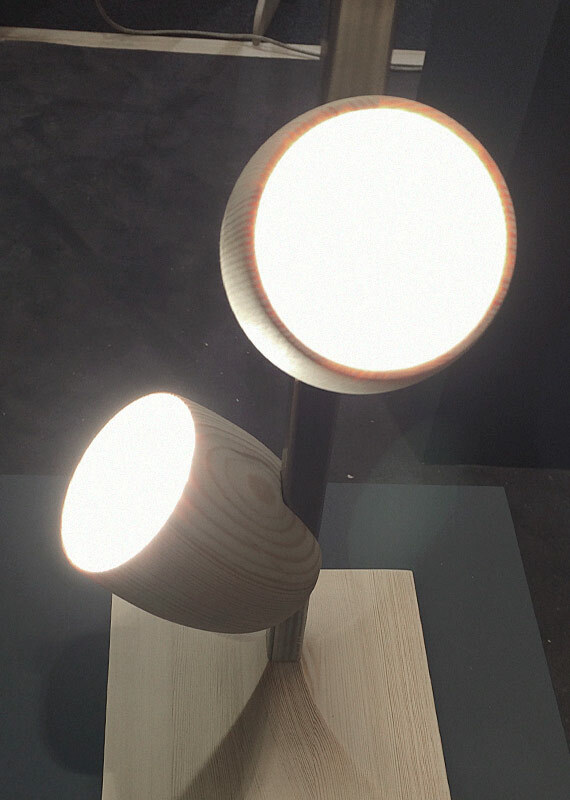 The results were exhibited at the Stockholm Furniture & Light Fair in February 2016. 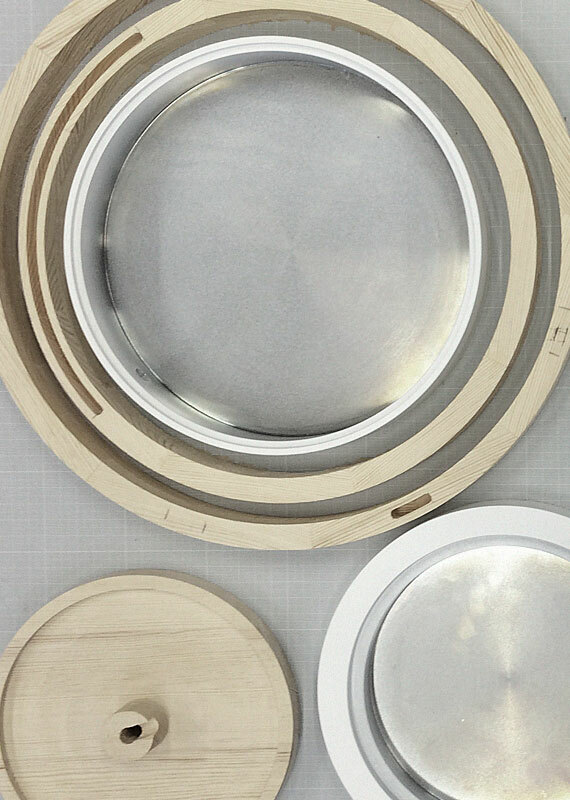 Stands and mounting solutions for table, floor, wall and ceiling lamps. 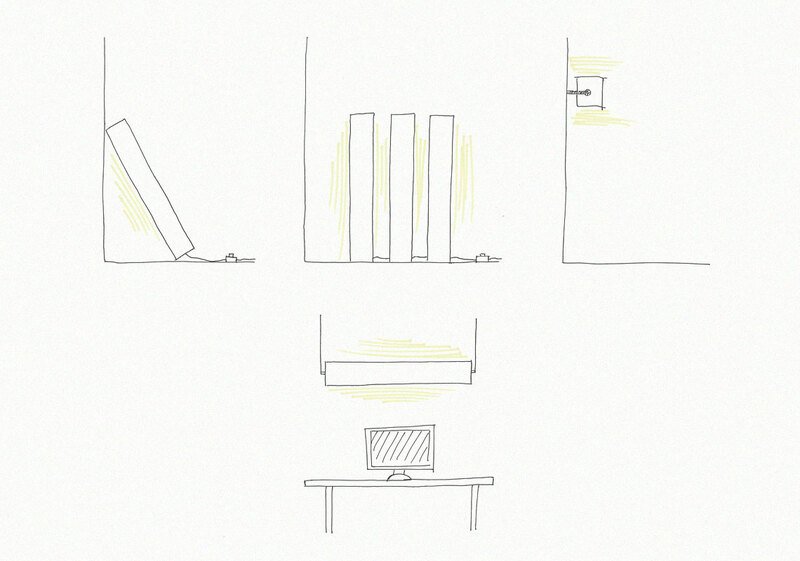 The lamp can be adjusted, raised or lowered, and can also be moved freely between the different stands. 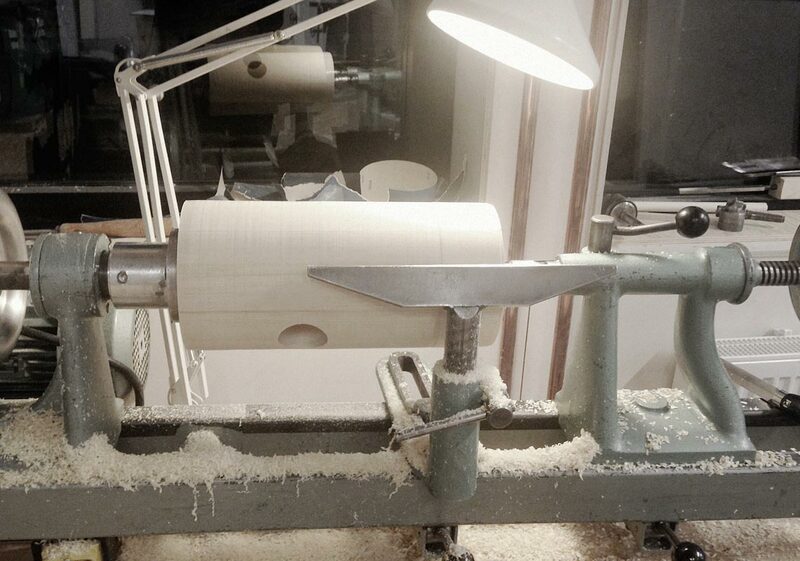 The light is adjusted using the leverage force of the stand. 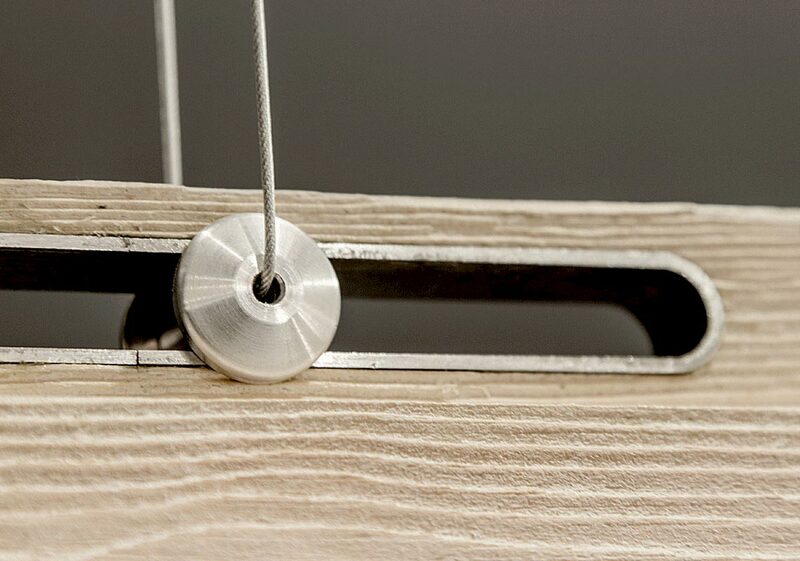 The belts act as a counterweight and are attached to the stand at different levels. 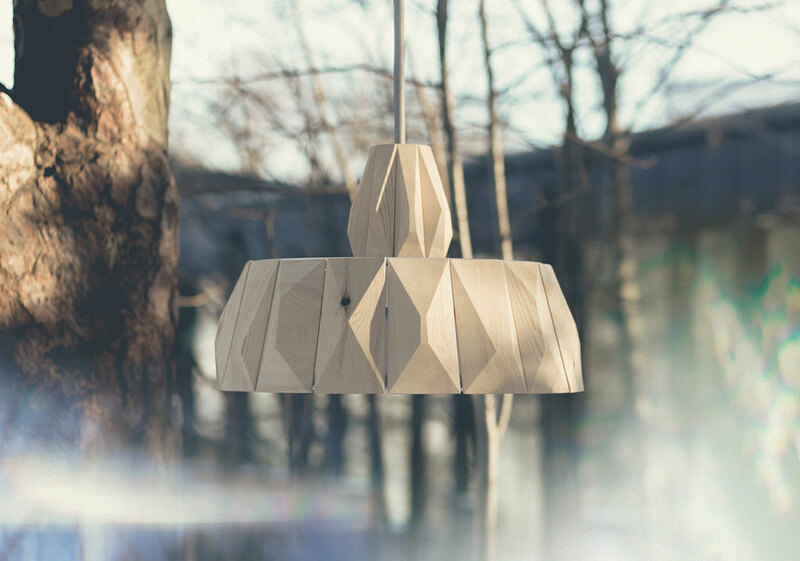 The material encloses the light in an overlapping form. 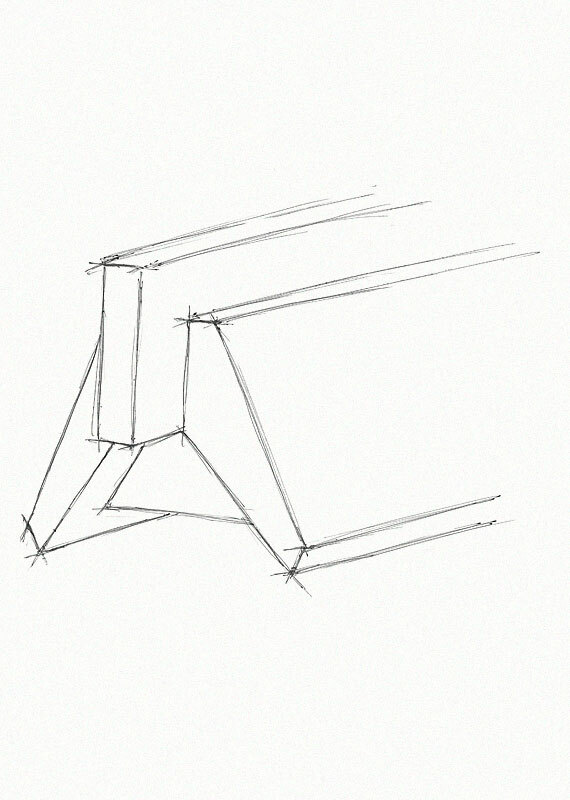 Casting of the solid concrete base. 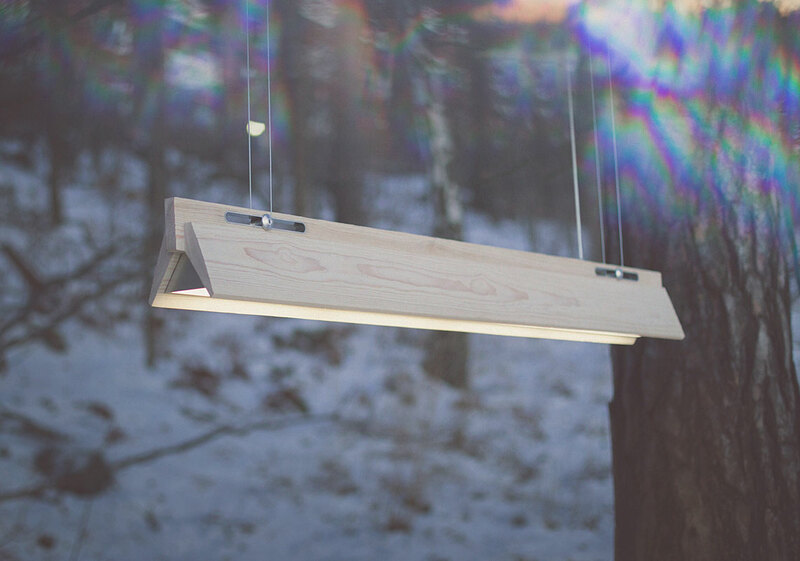 The thin pine veneer becomes transparent when the light is on. 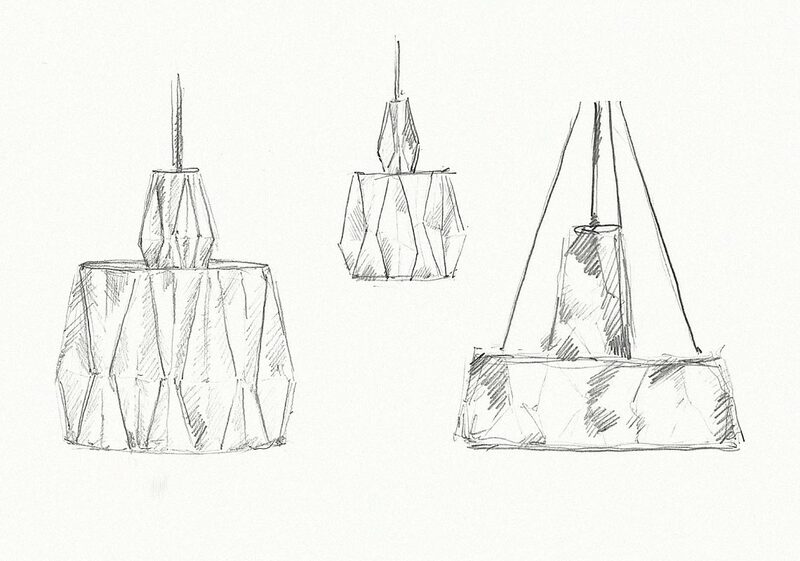 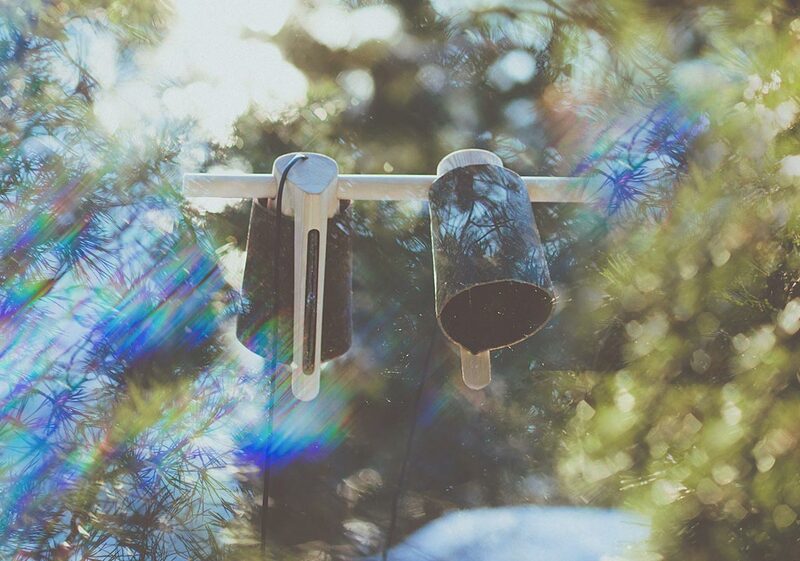 The design of the luminaire is inspired by barren winter landscapes and faceted ice crystals. 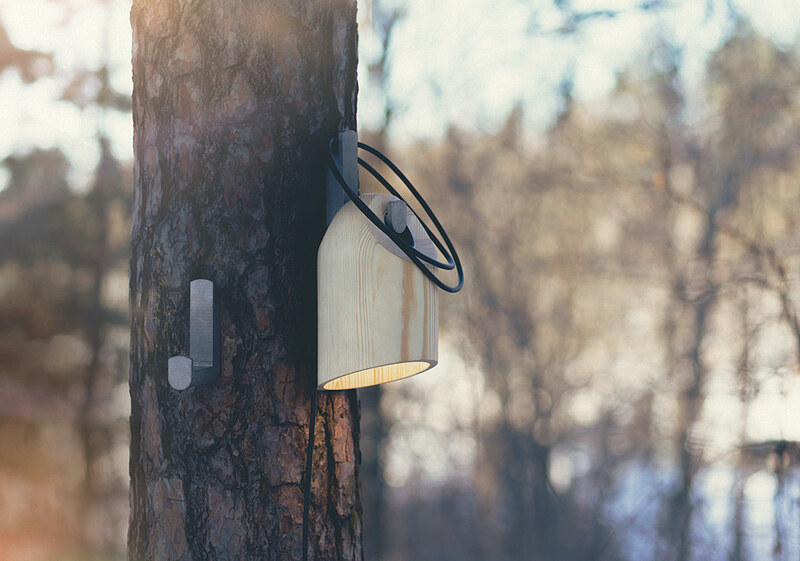 During the winter the pine shrinks, allowing the light pass through the wood facets. 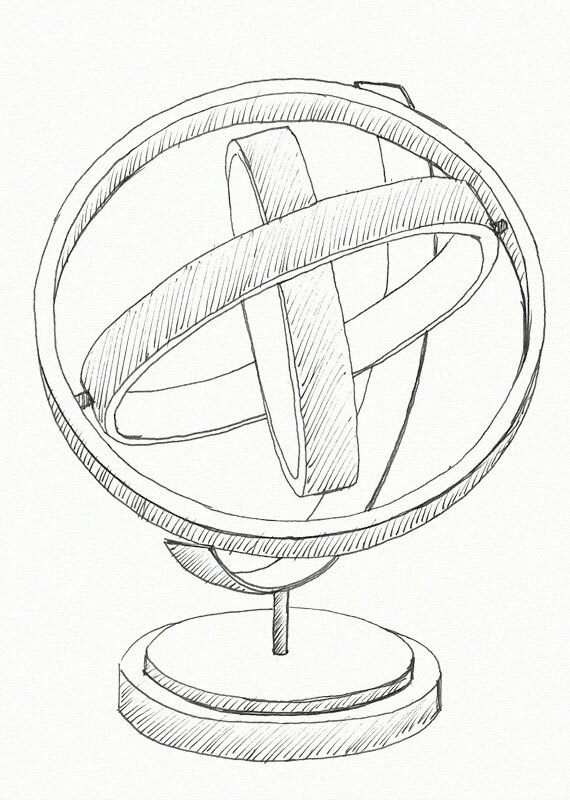 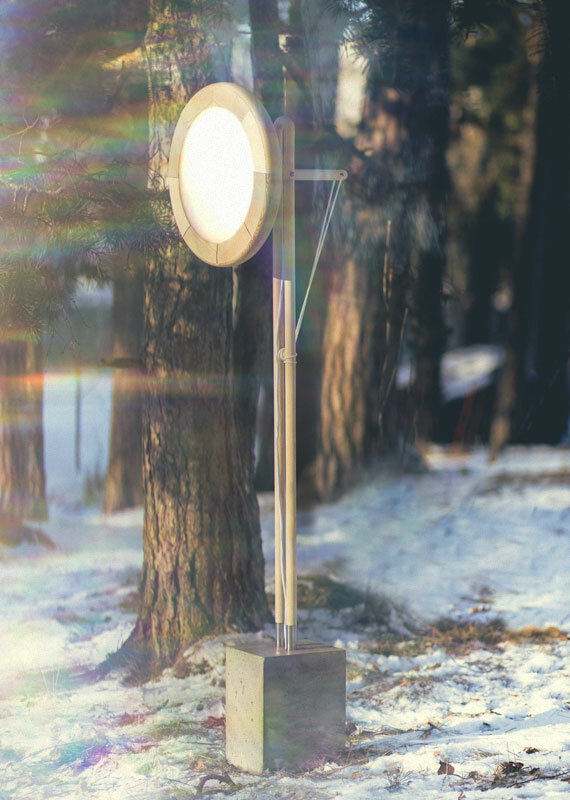 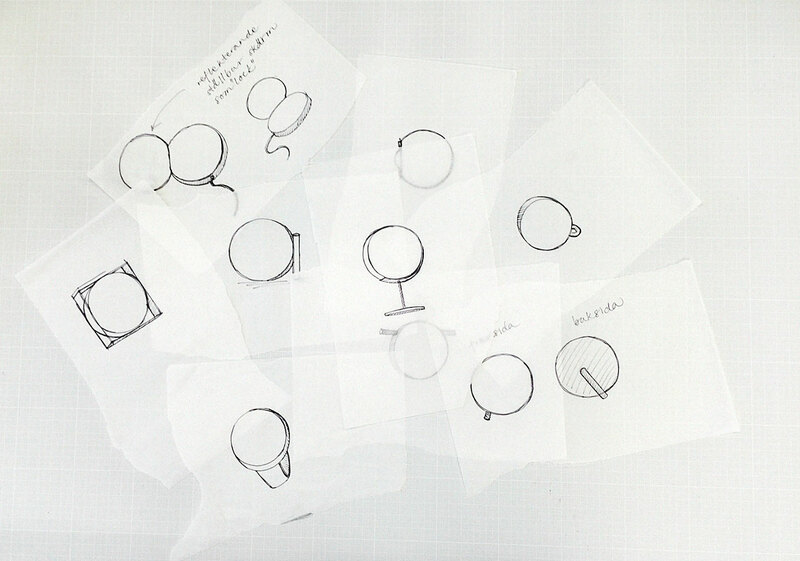 The design of the luminaire is inspired by astronomical instruments and the Solar System. 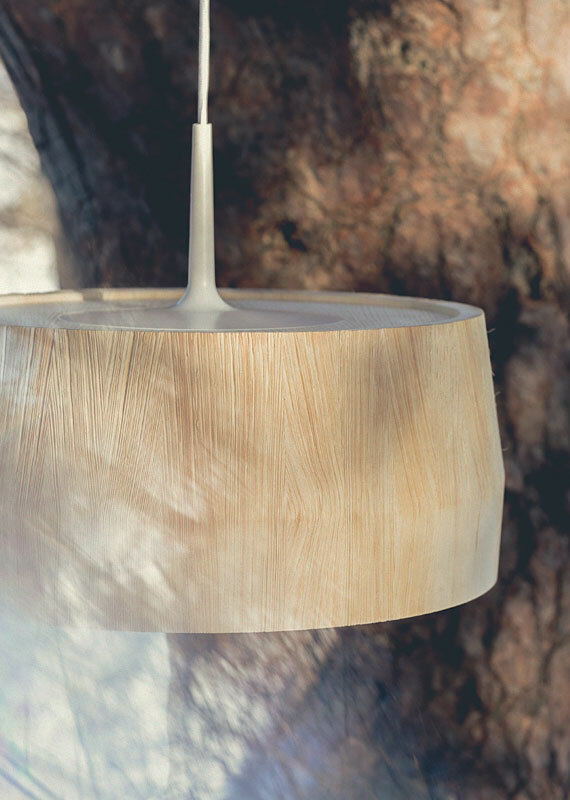 The light source is in the centre and illuminates its surroundings. 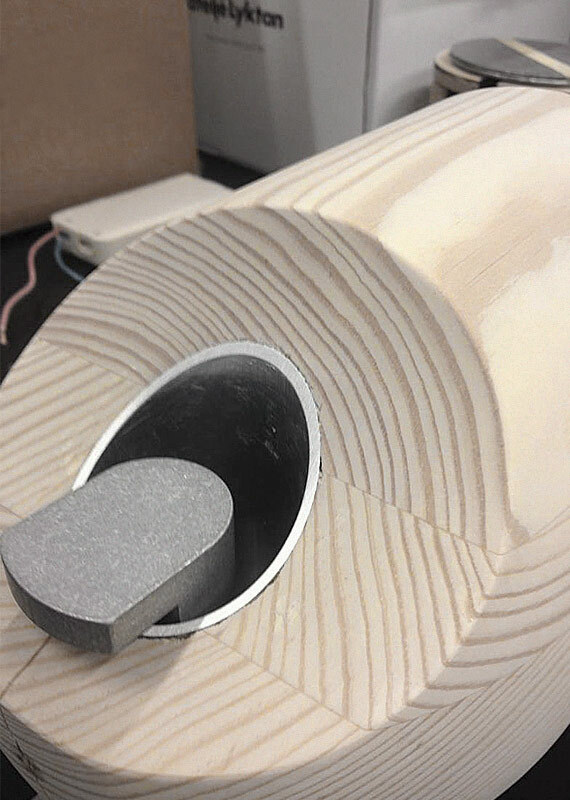 Material cut to size for construction. 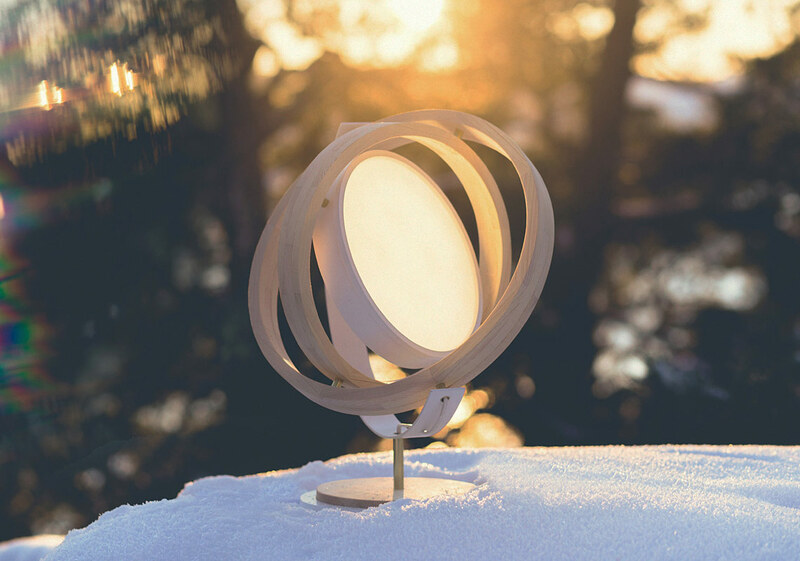 The lamp and its surrounding rings are movable so that the user can adjust the spread of light. 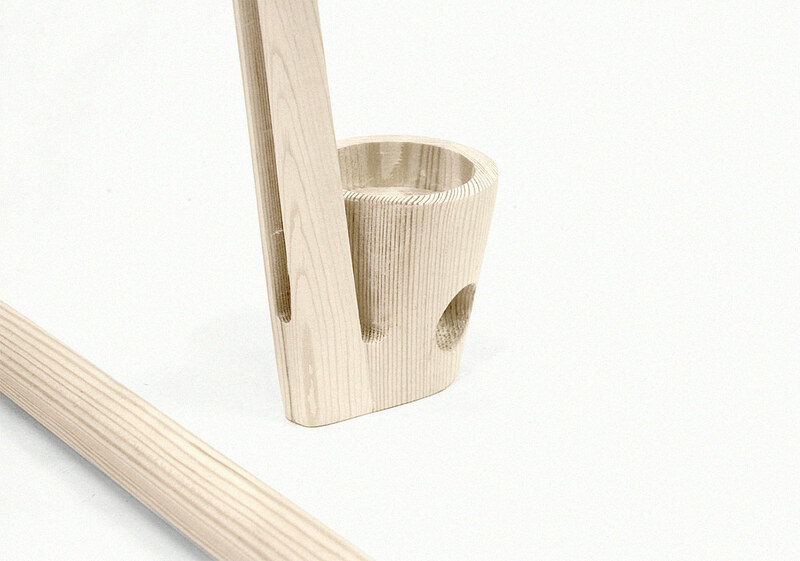 A stylised version of the traditional chopping block. 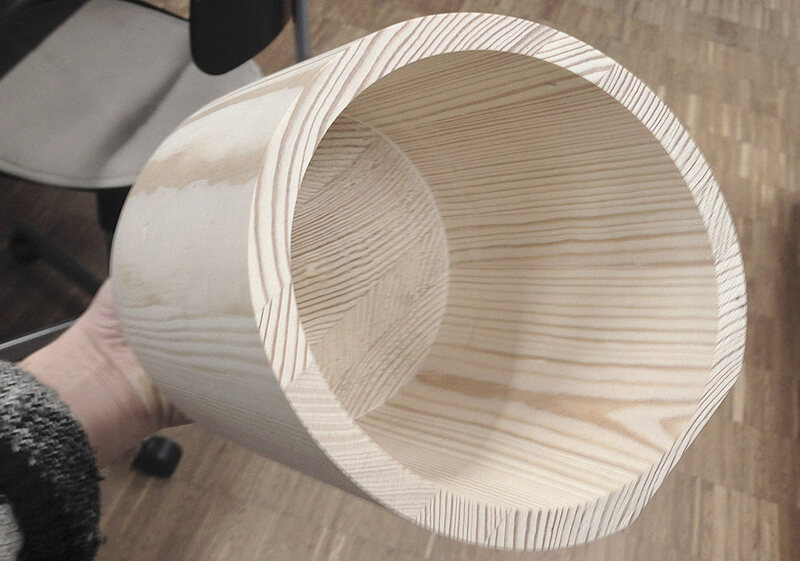 The softness of the material, which usually makes it susceptible to defects, has been used to its advantage. 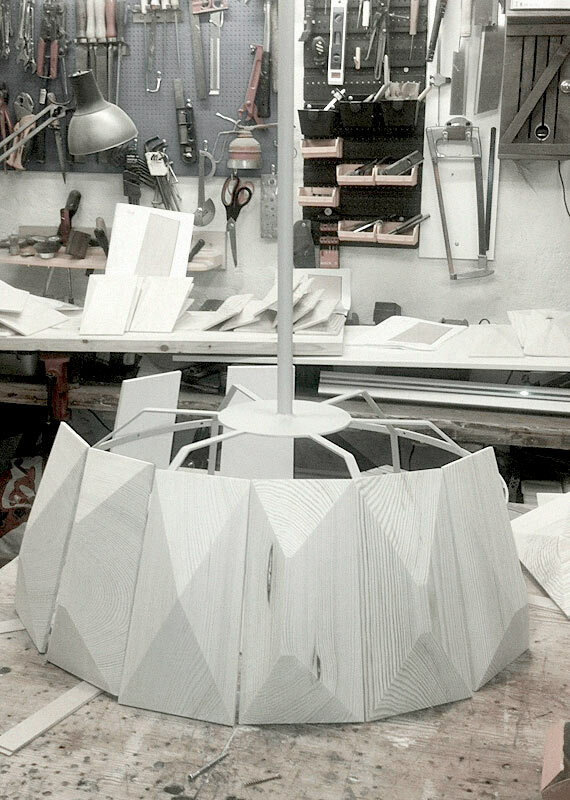 Fashioning the parts for the shade. 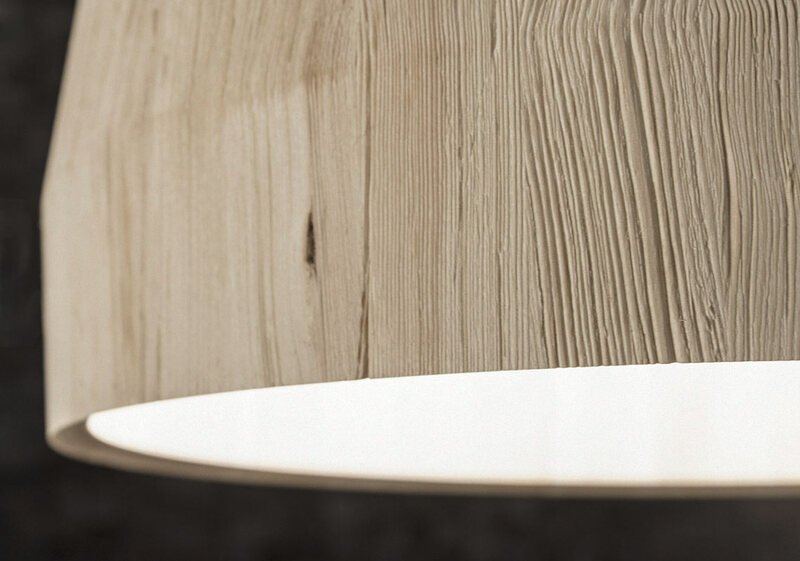 The brushed and splintered surface with its cracks and irregularities is reminiscent of old tree stumps. 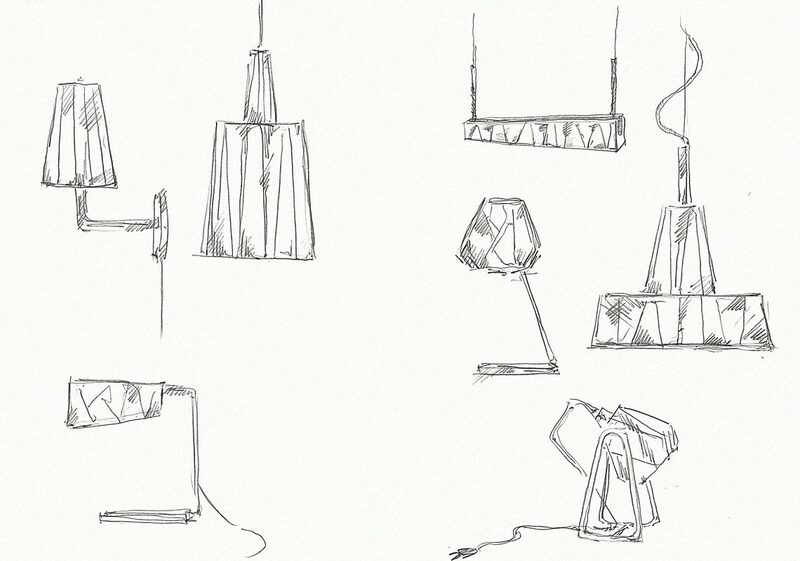 The lamp system is designed to fulfil different functions in different areas of the home. 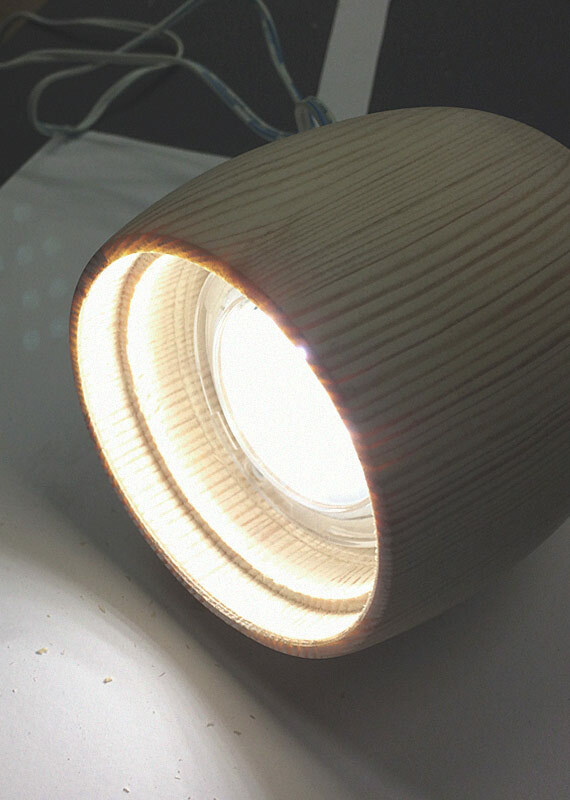 By adding parts the lamp can convert from a ceiling lamp into a table lamp or floor lamp. 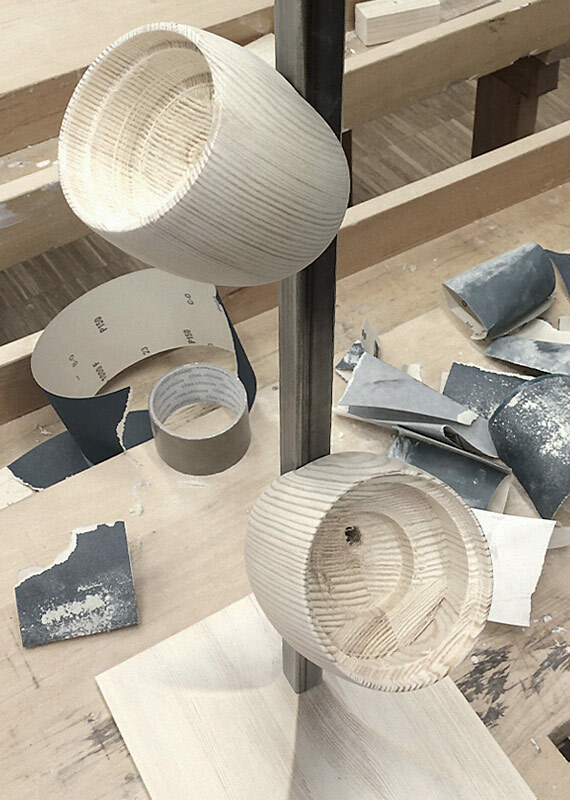 The manufacturing process of the luminaire has a central role since the traditional material of extruded aluminium is replaced by wood. 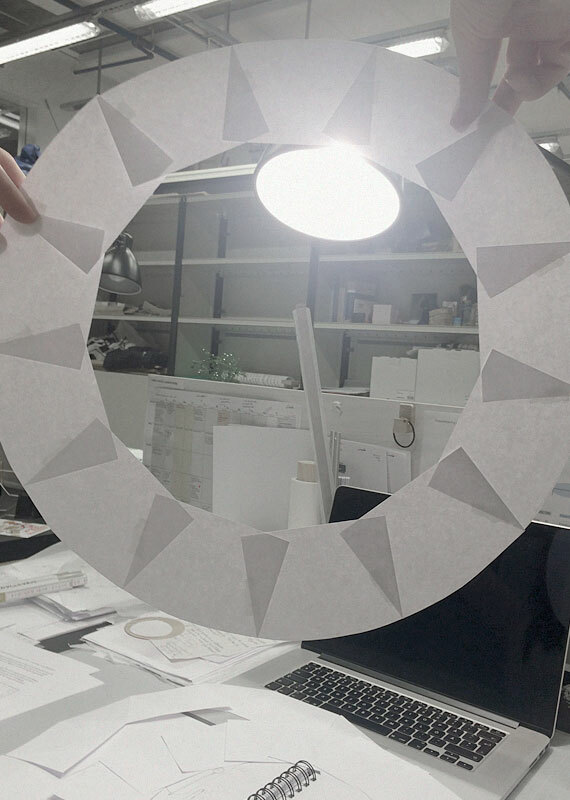 The profiles can easily be cut to different sizes to be used in a family of luminaires. 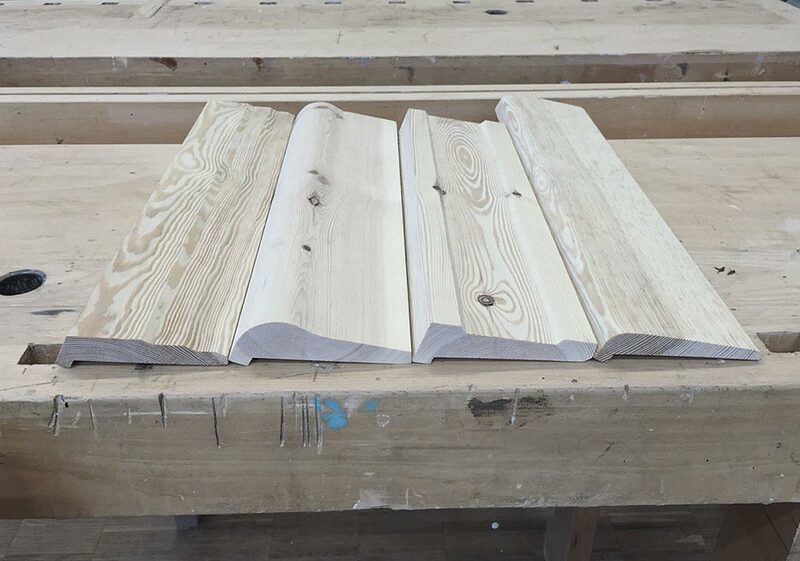 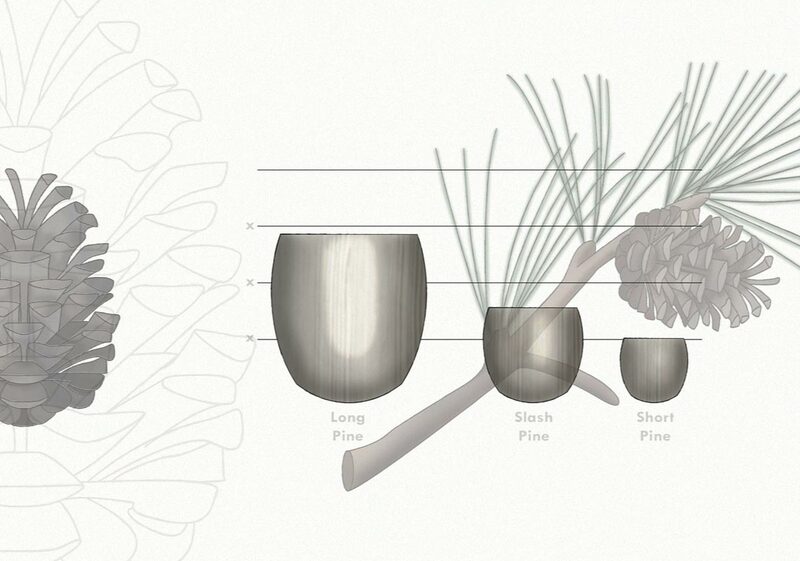 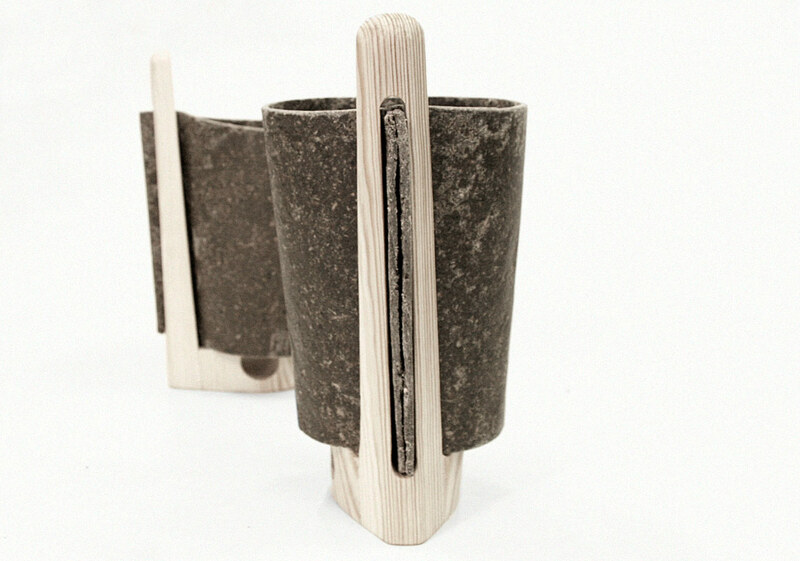 The characteristics of the pine, its texture and graining are brought to light by the sandblasted surface. 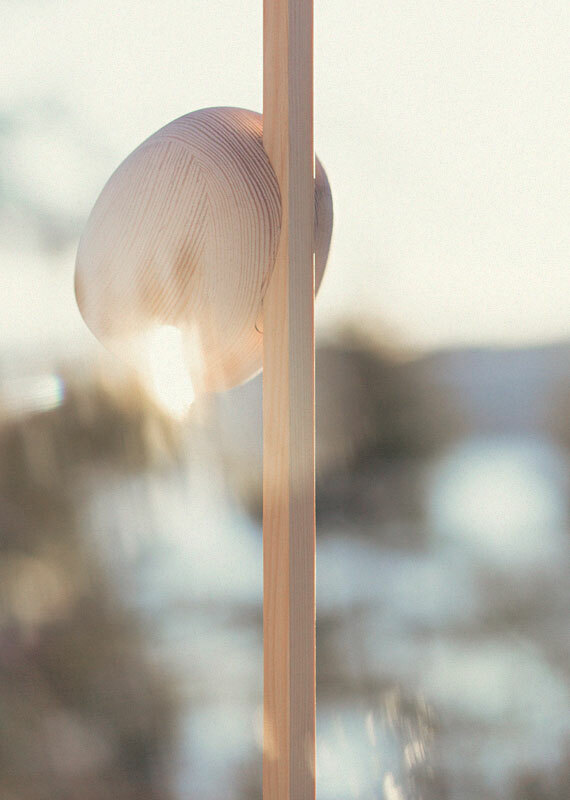 The adjustable suspension system is a visibly decorative detail. 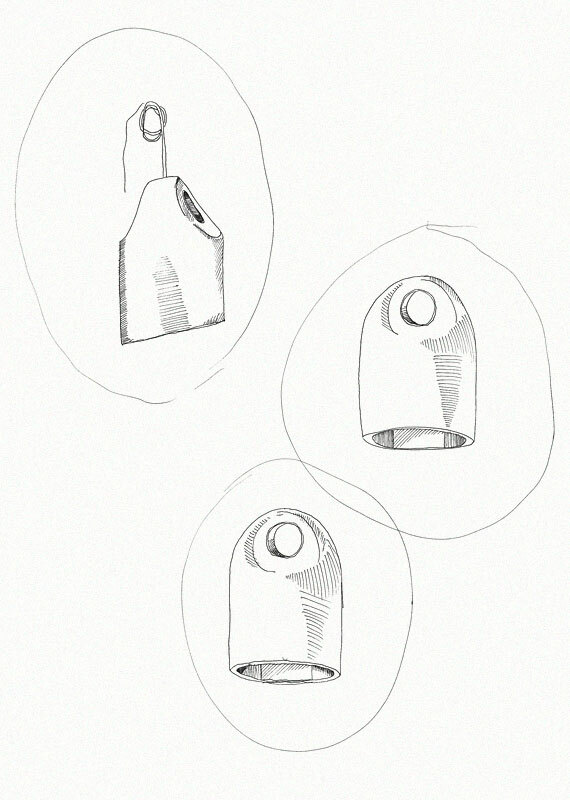 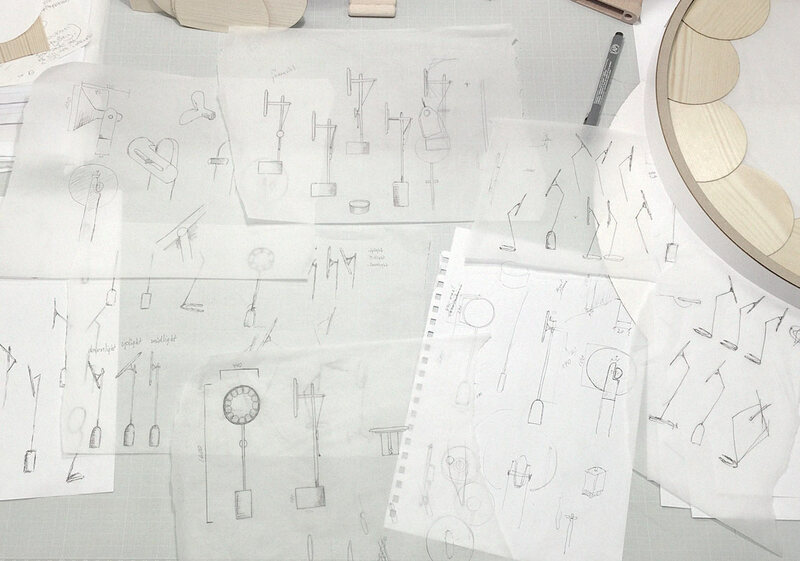 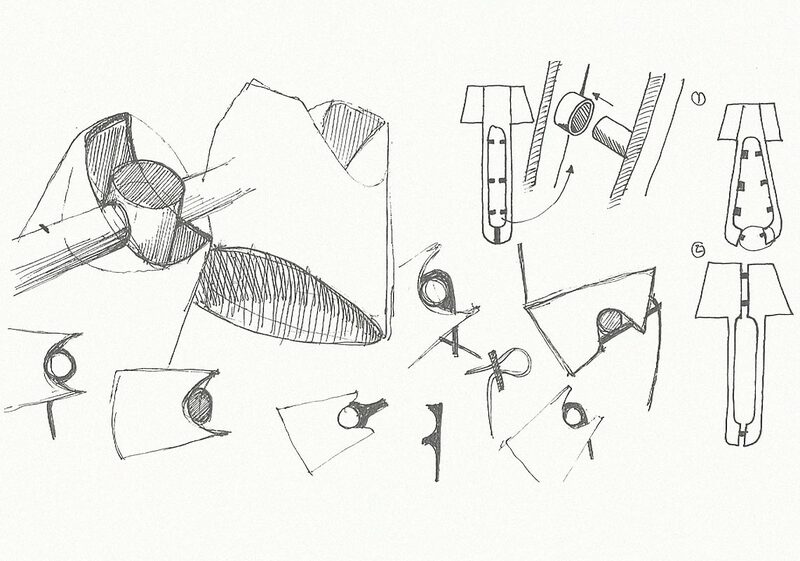 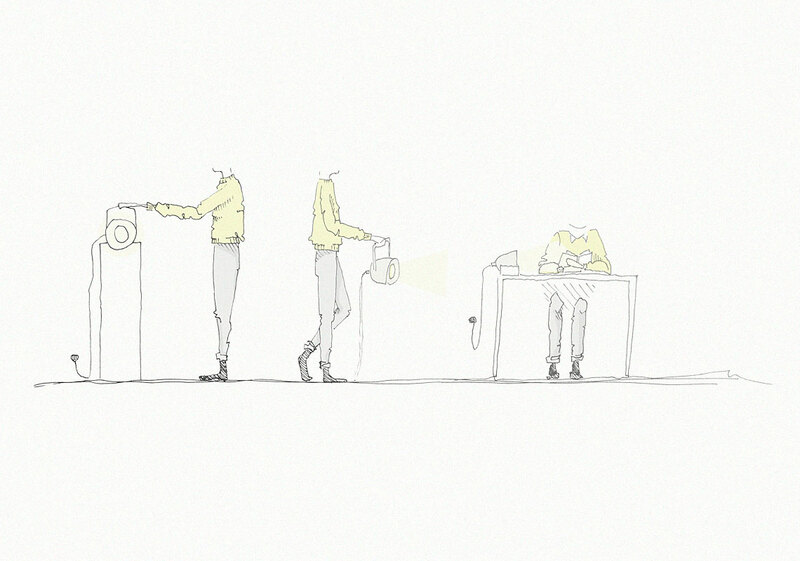 The luminaire is based on the idea that people should be free to be able to take the light wherever they need it. 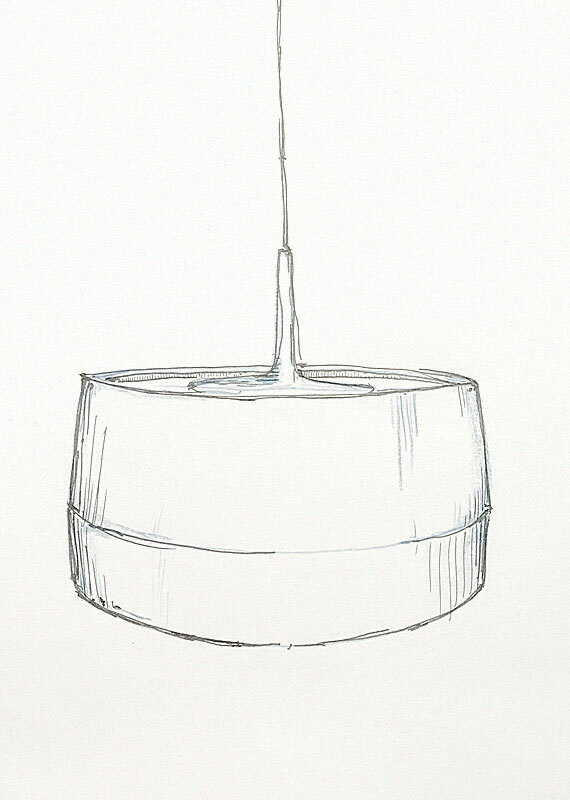 A single light source that can be used in different situations, either suspended by a hook or placed on a surface. 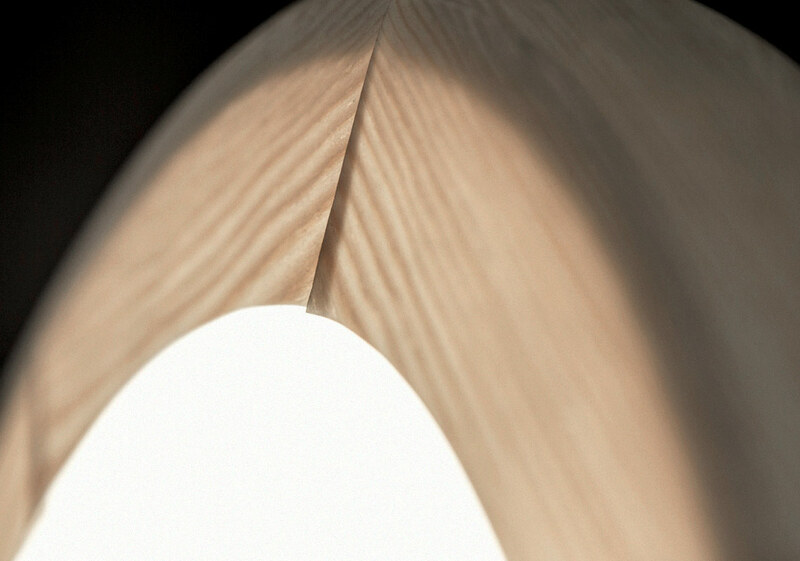 With its solid and sculptured form, the hook is a decorative piece in its own right, regardless of how the lamp is used. 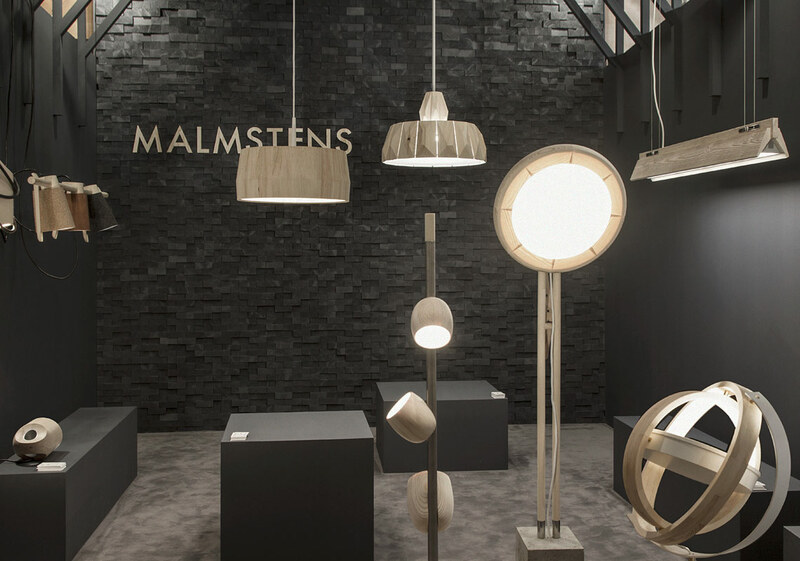 The entire project was exhibited at the Malmsten stand in the Greenhouse. 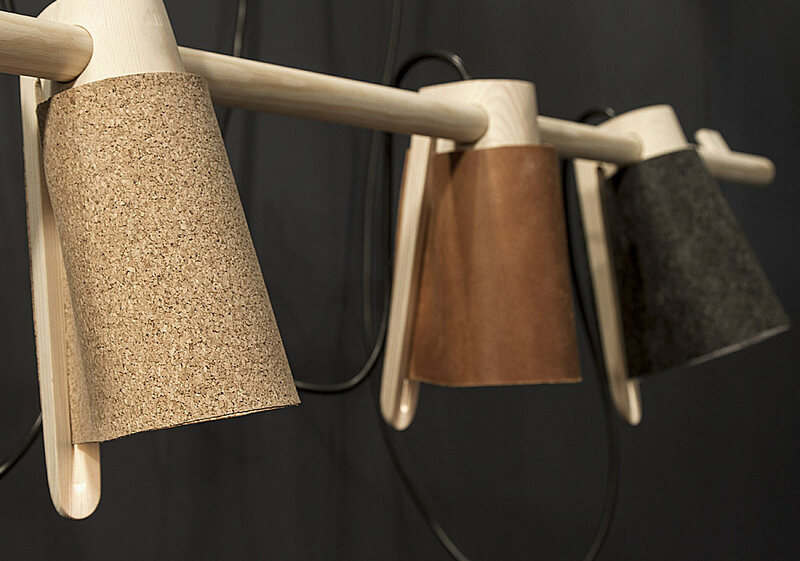 A selection of the luminaires was also on display at the ateljé Lyktan stand. 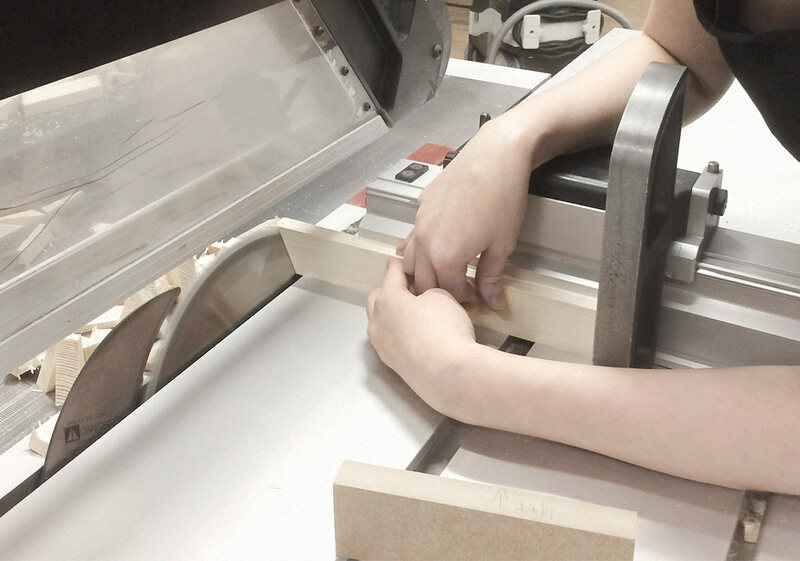 Carl Malmsten Furniture Studies, Linköping University, is based in Lidingö, Stockholm, with courses in the design and preservation of furniture, carpentry and upholstery.